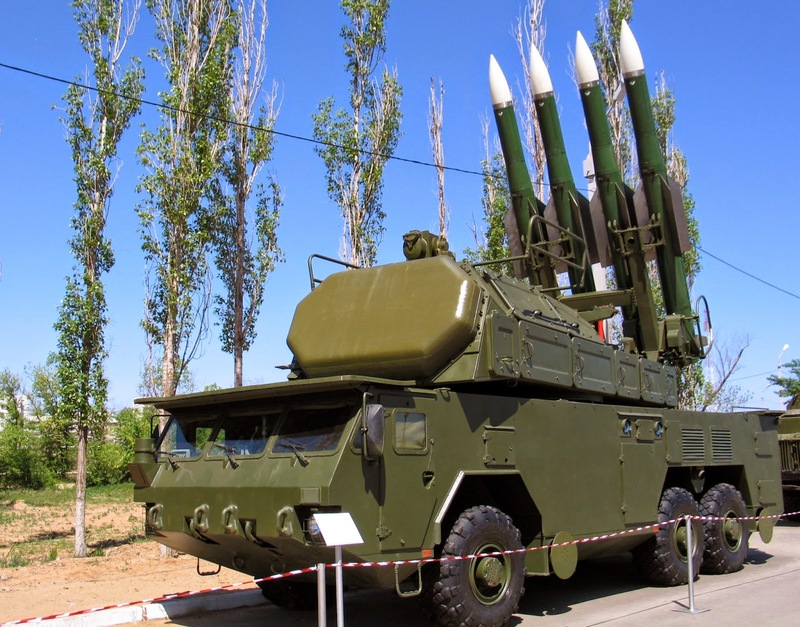 "The Buk - which means beech tree in Russia - is a 1970s vintage, truck-mounted, radar-guided missile system, codenamed SA-11 Gadfly by Cold War NATO adversaries." ~ Reuters, 17 July 2014. MH17 was shot down by a Buk, according to Ukrainian Interior Ministry official Anton Gerashchenko. "The plane was struck by a Buk missile, and in Russian, Buk means beech = Lafayette, the little beech-tree." ~ Matthew Deagle, Twilight Language commentary. In my essay, The Fayette Factor, I noted, of course, that "Lafayette" translates into "the little fairy" or "the little enchantment." This does track back to a "little beech-tree." "La fayette" consists of the elements "fay" (fairy) and the diminuitive "-ette," translating literally as "little 'little people.'" Others have said this, as well. The name Lafayette is of French origin. It means either faith or comprehensive. Lafayette is actually an amalgamation of two words in French "La" and "Fayette". Though it is spelt in its combined form in the United States it is spelt in two parts in France. The word "La" is actually the article "the" in French and "Fayette" in the Old French means "little fairy". Source. An alternative view of "Lafayette" notes it can be translated from the French as "the little enchantment," as well as "the little fairy." Joan of Arc at the age of 8 danced around a beech tree, a "fay tree," a "fairy tree," some recording that she saw fairies. Others tell that she heard voices, had visions, and was "enchanted." 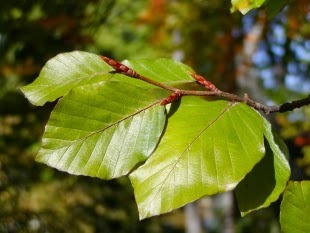 The beech tree, literally, the "fairy tree," la fayette, are historically lexilinked to Joan de Arc. Joan of Arc was born in 1412 in the Valley of the Meuse in the small farming village of Domremy, France. Later visitors have commented on the area, the beech tree, and more. On a beautiful August afternoon while our Division was out at rest after going through the Marne campaign, I went in a Ford through the Joan of Arc country and visited her home, her church, and the beautiful Basilica built on the hill overlooking the charming Valley of the Meuse. The route out from Gondrecourt was charming. We went by splendid roads along the ridge of the valley for many miles. At length we came into the village of Domremy where in 1412 Joan of Arc was born in a humble home of humble parents, her father being a peasant farmer. Joan was brought up to sew and cook, tend sheep, attend mass and pray. She had little or no schooling. As a girl she was like other girls, light-hearted and merry. Around that old majestic beech tree which was known as the "fairy tree" by the village, she used to join other children in summer days in making wreaths of flowers and hanging it on the tree and then gleefully dancing around it. There is a story that when about twelve years of age she was playing with other children and then finished up with a race in which she ran so swiftly that her feet did not seem to touch the ground. It was that day she heard a voice that she thought was her brother's calling her. It was not her brother's but the "Voice" that was to be heard by her in later days so often and which was to make known to her, her duty as the Lord's chosen one. Source. Joan of Arc and the beech tree are linked. Fifteen centuries earlier, France had been the Celtic land of Gaul, its people the ancestors of medieval French peasants like Joan. Traces of the old Celtic religion survived into her time. Near Domrémy grew a beech tree which villagers called the "Ladies' Tree" or "Fairies' Tree." They gathered May-branches there. Young people danced and sang under its canopy. "My godmother," Joan said, "even told me that she had seen fairies there, but I do not know whether it was true or not." Between the tree and the village was a spring believed to have healing properties. In Domrémy, the fourth Sunday in Lent was called "Fountains Sunday," when the villagers would eat a special meal of bread, wine and eggs under the Ladies' Tree, then stop to drink from the spring on their way home. On Ascension Day, the fortieth day after Easter, when the local priest blessed the fields, he made another stop to recite the gospel under the Ladies' Tree. Ancient Celts believed gods and spirits dwelt in places like trees and springs. As proselytizing monks spread Christianity across Europe, they struggled to persuade people that the world around them was not sacred. In southern France, the second Council of Arles decreed in 452 that a bishop would be guilty of sacrilege if he allowed his people to "venerate trees, fountains, or stones." In 724 Saint Boniface cut down an oak sacred to the Germanic god Donar and built a church out of its wood. Finally though, after centuries of failing to eliminate customs associated with sacred trees and wells, Christian authorities incorporated them into their world view. Even today, wells consecrated to Christian saints and Christianized Celtic deities are important features of the Celtic landscape. It was in a green and leafy place that thirteen-year-old Joan first heard a mysterious voice. "I was terrified," she said. "The voice came to me about noon; it was summer, and I was in my father's garden. I had not fasted the day before. I heard the voice on my right hand, towards the church. There was a great light all about." "Twice and thrice a week" she said, "the voice told me that I must depart and go into France." She came to believe the voices were those of St. Michael, St. Catherine and St. Margaret. In the spring of 1428, without telling her parents, she persuaded a relative to take her to Robert de Baudricourt, the military commander in nearby Vaucouleurs. He laughed and sent her home. But she kept returning. Her persistence and confidence finally won him over. Source. Gilbert du Motier—better known as the Marquis de Lafayette—had ancestors who served in the Crusades and alongside Joan of Arc. Marshal of France Gilbert de La Fayette III, an ancestor of Marquis De Lafayette, led the army of Joan of Arc, in Orléans. Photo at top. From the Foret de la Montagne de Reims. "Inside the national park you can also find the very strange, weird, mysterious Faux de Verzy. 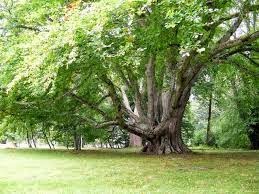 It is a variety of beech and is also called 'tortuosa' because of the deformities of the trunk and branches. The story is that the trees grow very slowly but get very old....One is called le faux de la Demoiselle, in honor of Joan of Arc, said to have slept in the forest." Source. Things do come full circle.